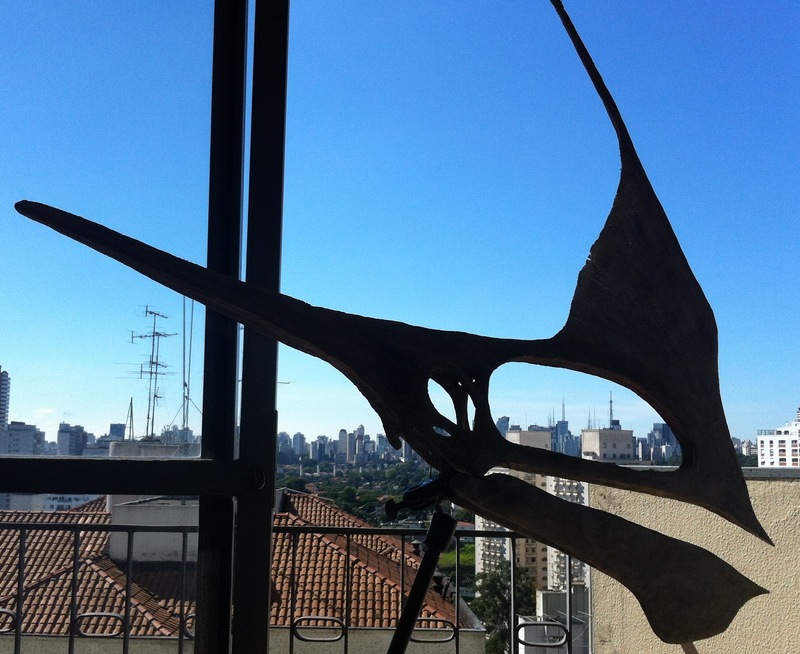 That’s a Tupandactylus skull mounted on my balcony with São Paulo in the background on a sunny Sunday morning. 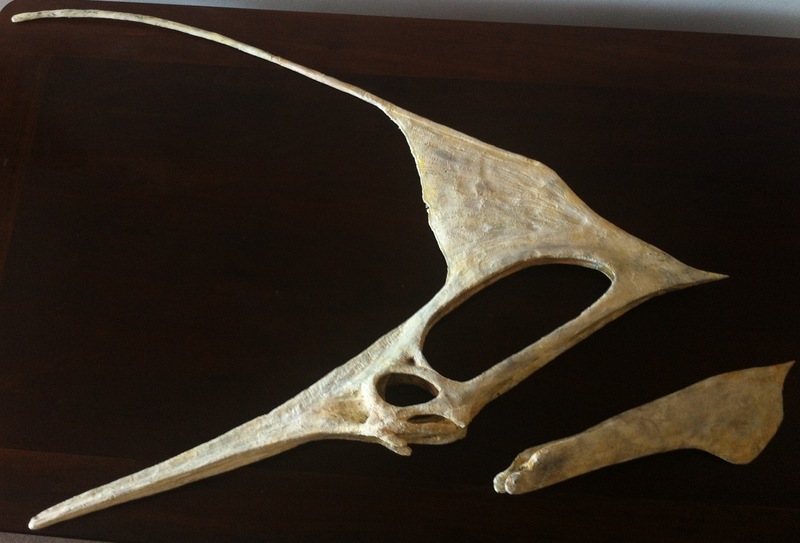 To learn how I made it, check the links at the end of this article (or read the posts under the category Pterosaur #3: Tupandactylus in reverse order). 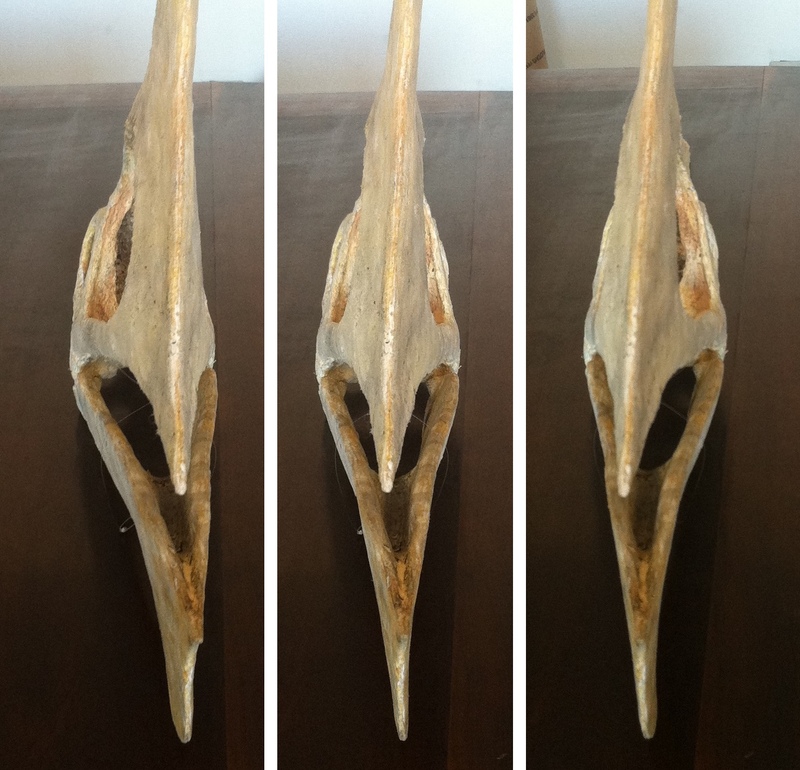 Length of the skull from the rear crest to the beak: 108 cm. 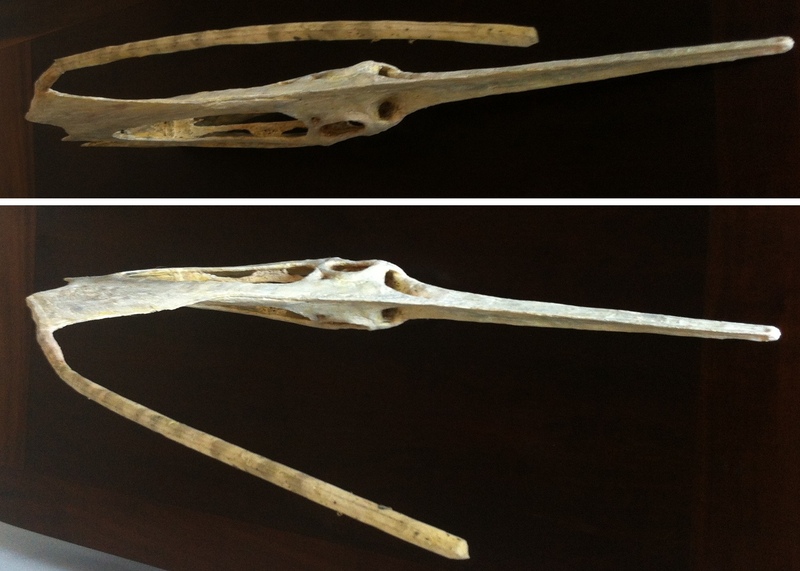 Length of the skull from the top crest to the beak: 123 cm. 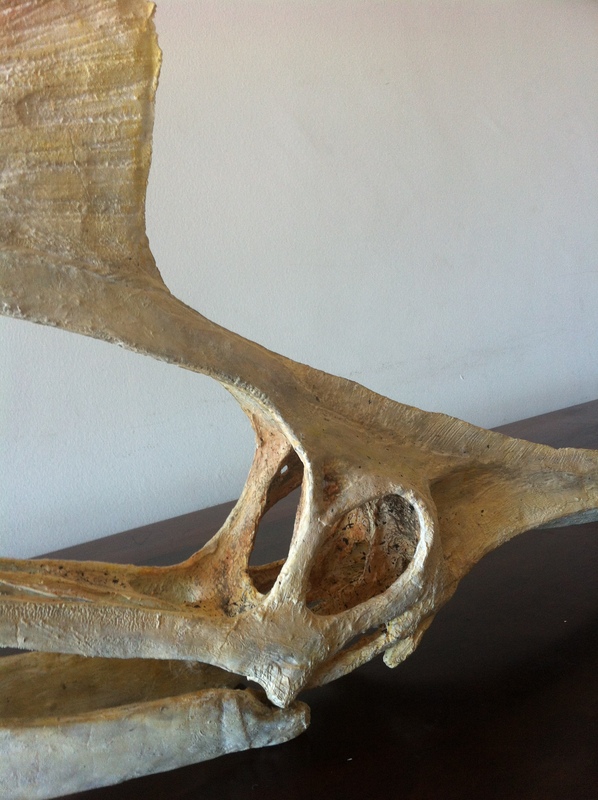 Maximum width of the skull (near the jaw articulation): 11 cm. 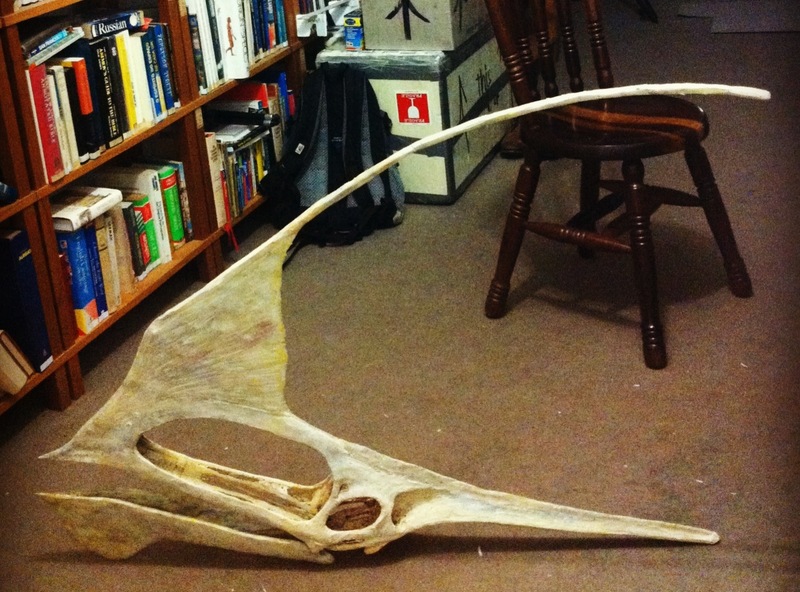 Height of the skull from the top crest to the jaw articulation: 100 cm. 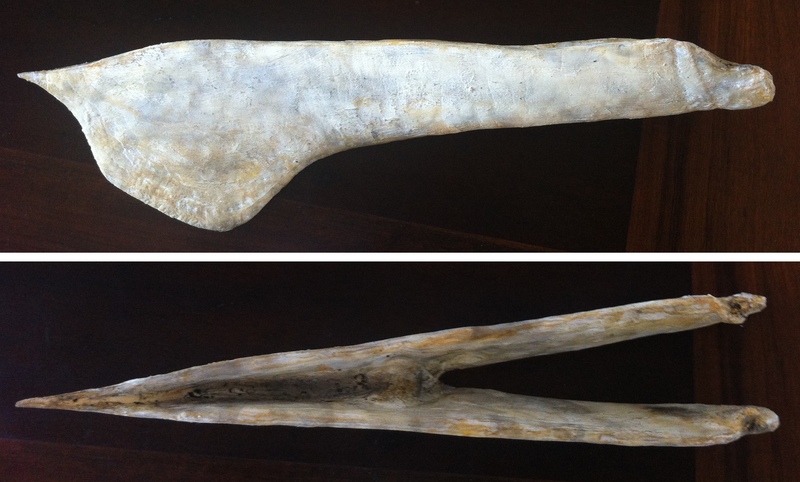 Length of the mandible: 49 cm. 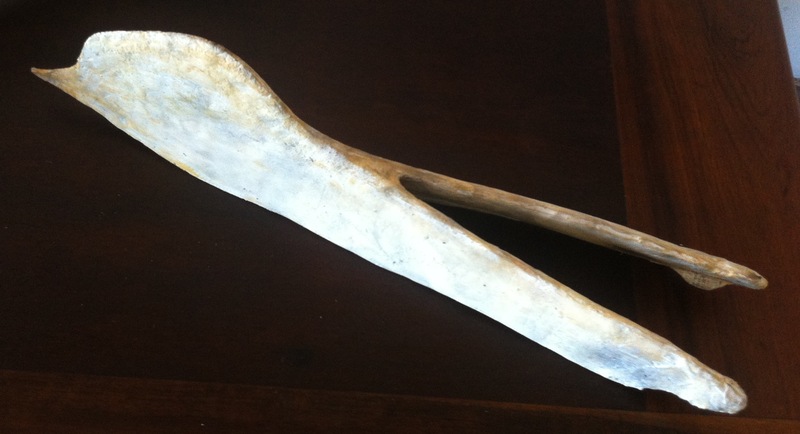 Maximum width of the mandible: 10 cm. 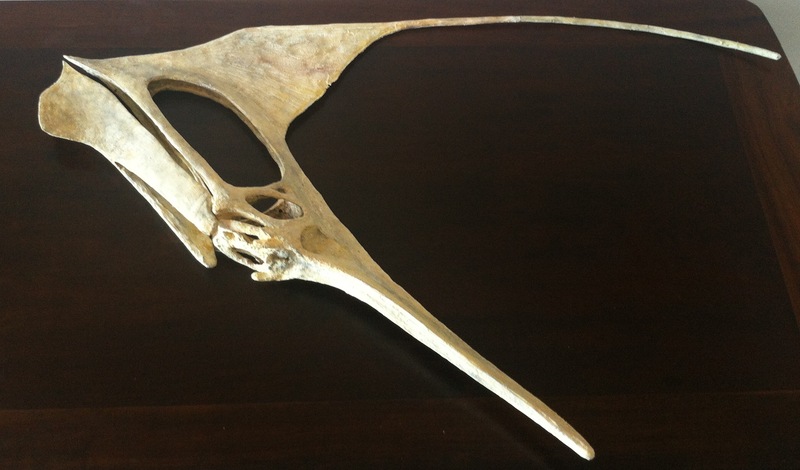 Maximum height of the mandible: 13 cm. 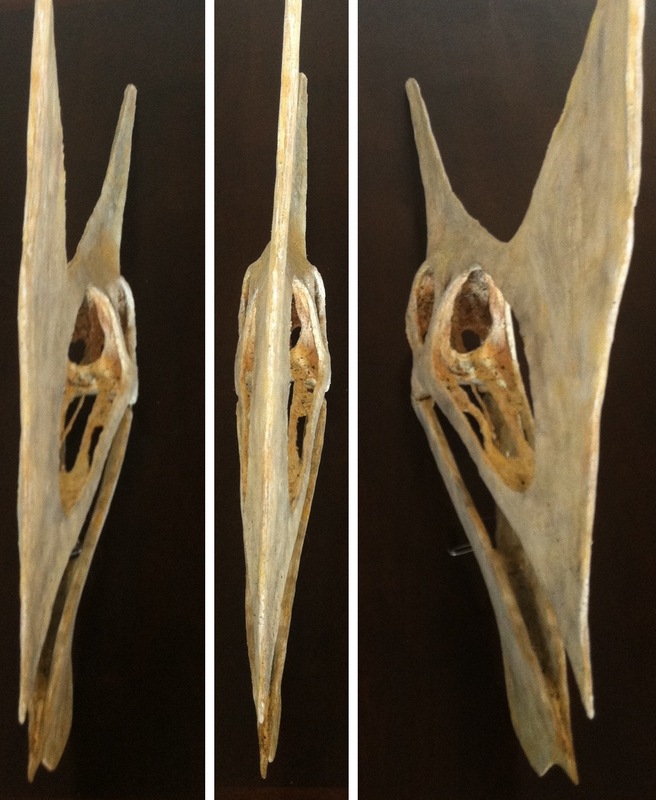 I’m declaring the skull finished but there are many things that can still be improved and corrected. 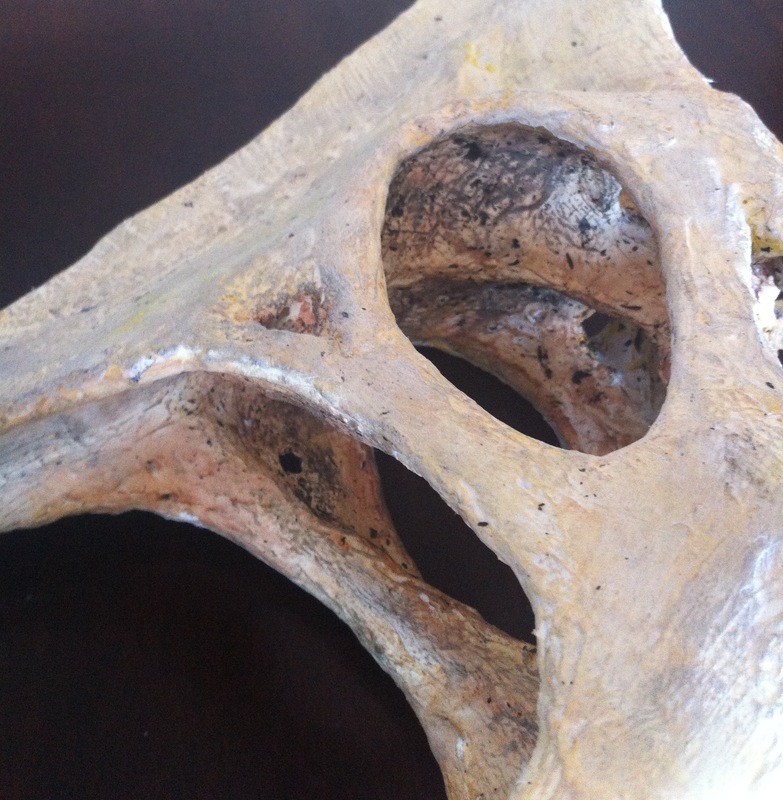 I did not find reliable or sufficient information about the palate nor the structural bones beneath the skull, so they may be incorrect. 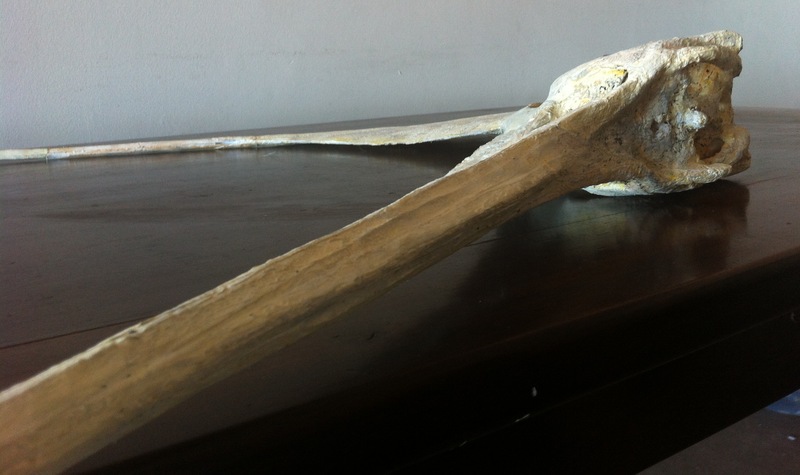 I can always fix that in the future when I have better pictures, access to fossils or reliable models. 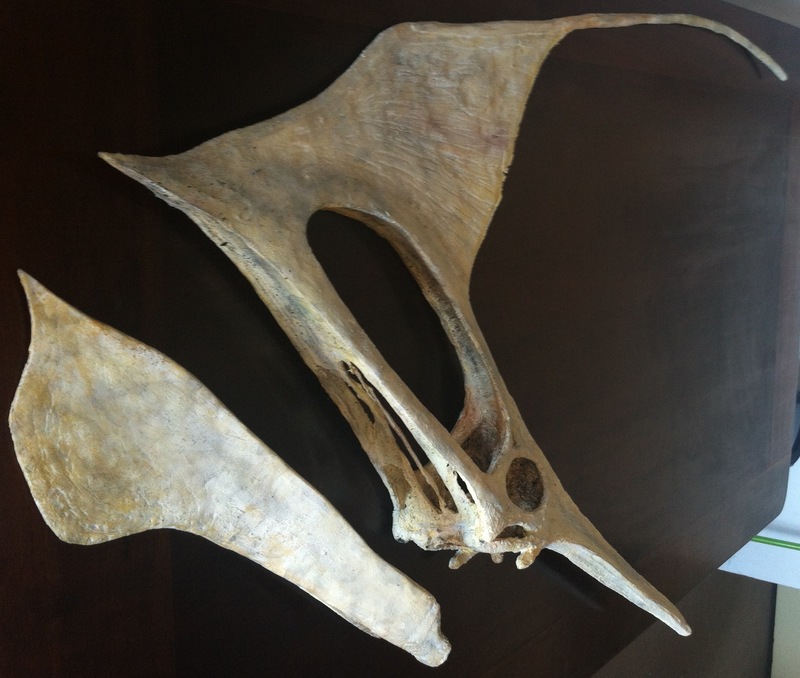 I also have to study some pterosaur anatomy! Here is another view of the skull on the floor by the books. Below are some photographs at different angles, close-ups and details. 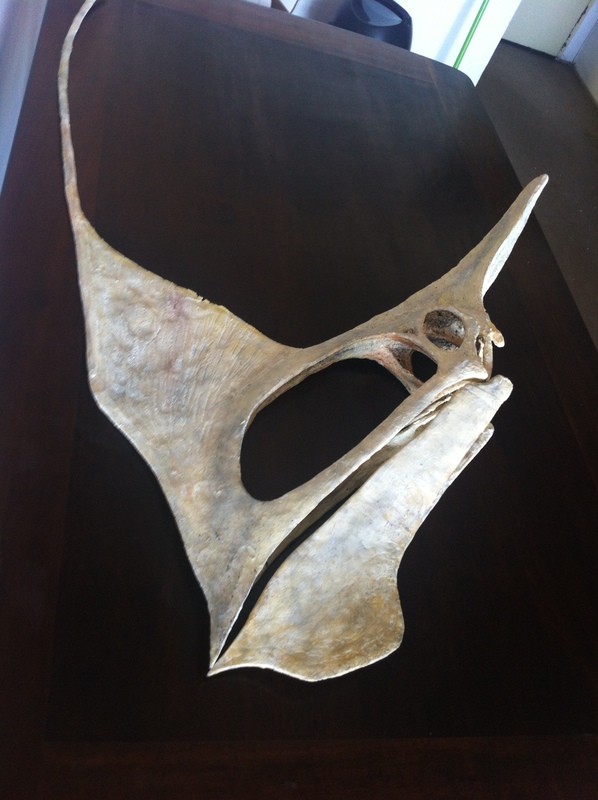 This is the rear crest showing the temporal apertures at the back of the skull. 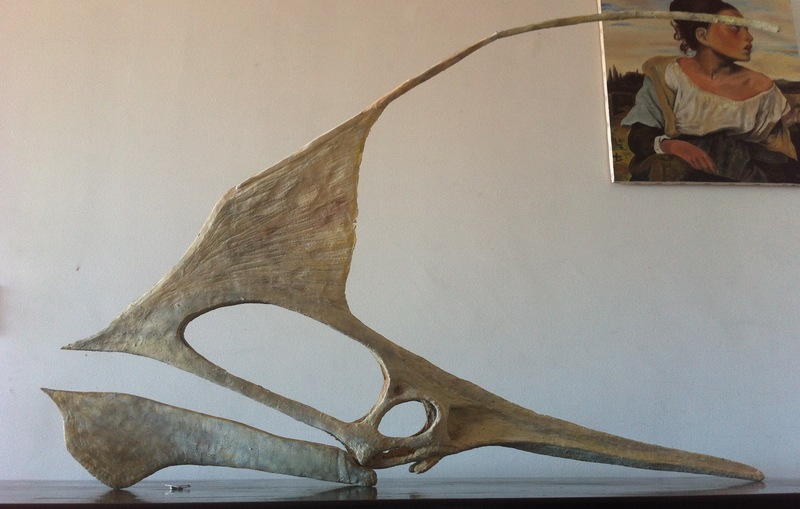 Now I need to make the body, but it will be speculative since only fossils of skulls have been documented for this pterosaur; nothing else. I should use Tapejara wellnhoferi as a starting point, but I still haven’t found any good diagrams or drawings of the vertebrae online. I have already mentioned the sources I used for this model in a previous post, but I am listing them below for convenience. 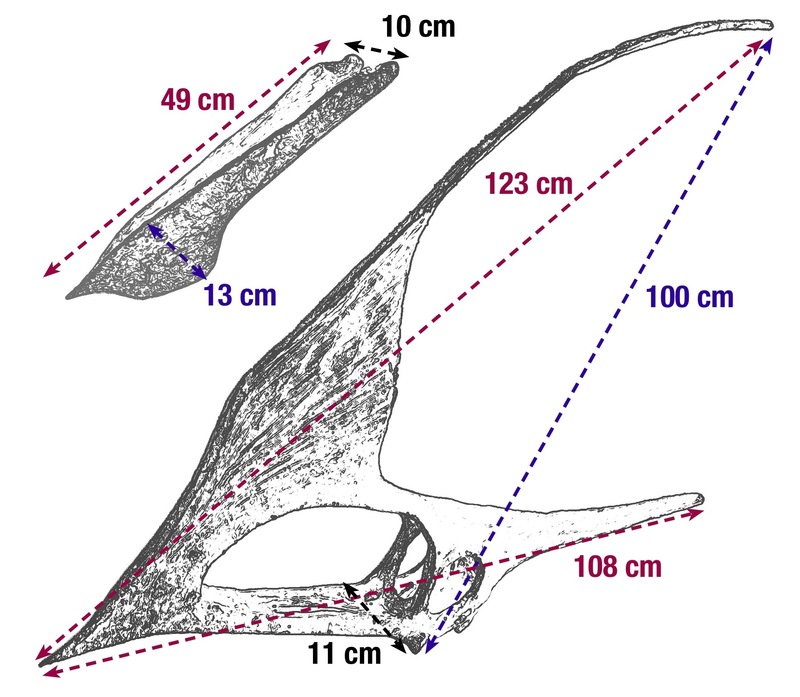 Article: Pinheiro et al, 2011: New information on the pterosaur Tupandactylus imperator, with comments on the relationships of Tapejaridae. 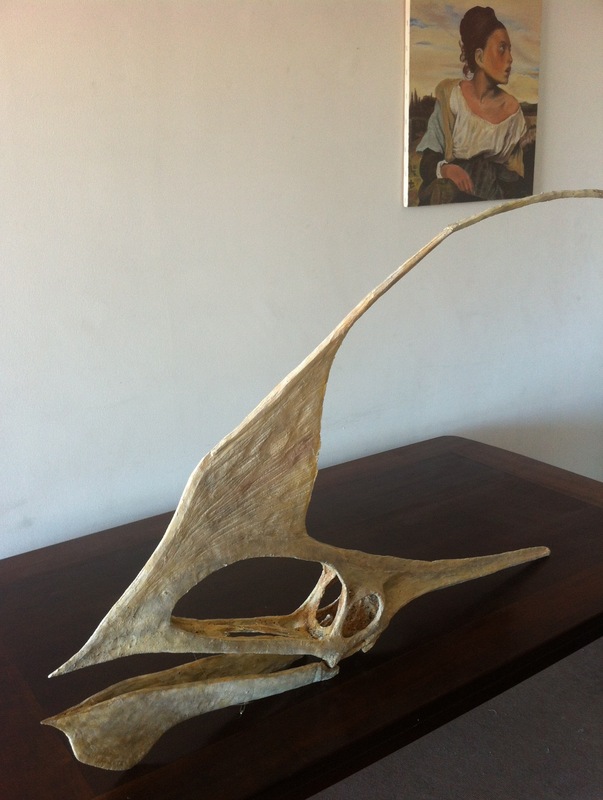 Feb 24: I found a Tapejaridae pterosaur in a board of foam!